Author’s note: The following post was started on July 14th just a day before leaving for the race this post was written for. It was to be the first section of a longer post and race report on the entire race. However, late in the afternoon of July 16th, I withdrew from the race at mile 47, Camp 10 Bear 1. 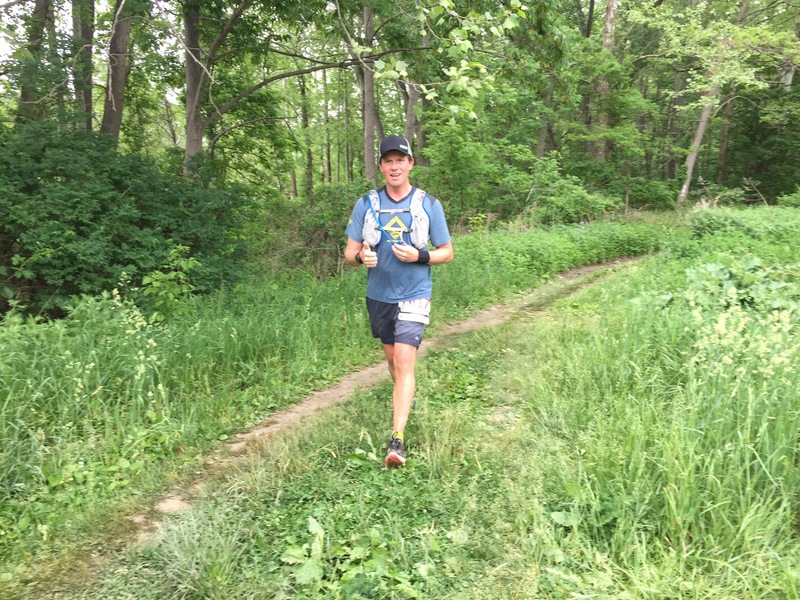 This is the first in a series of posts to write about the experience of training and failing at the 100 mile distance. Through these posts, I hope to explore the nature of failure and reflection. As an English teacher, these posts will form the backbone of some model writing I’m doing for my students this year in several classes that are writing personal narratives, “This I Believe Essays,” as well as blogging and podcasting. 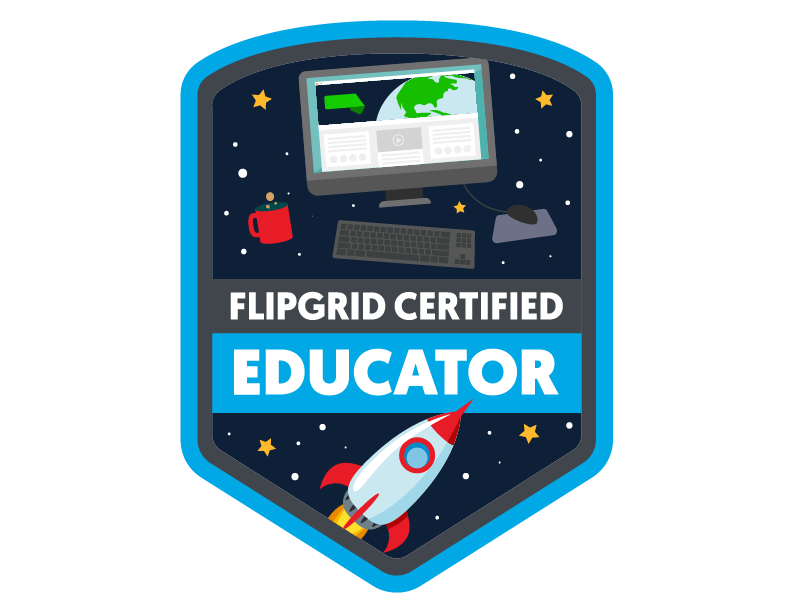 I hope to repost entries on my Edublogs page and in Medium. 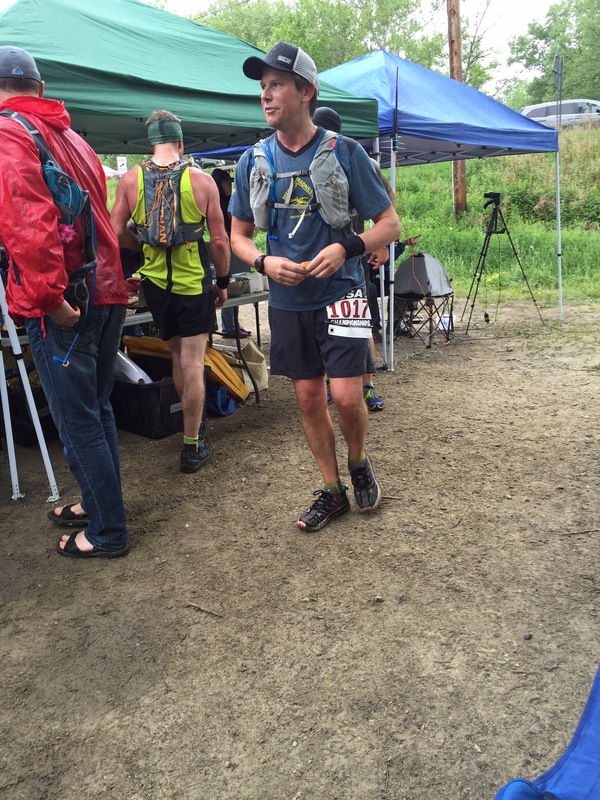 Here’s the low down on my Vermont 100 race from start to finish. In terms of my training and running, using Relentless Forward Progress worked for the 50k runs and the 50 milers I’ve done in the past, so I continued to use the training plans found in this book to help me prepare. I also read Krissy Moehl’s new book, but I read it too late to put her plans into place. About a week out from the race, I got super serious about packing and the finer details of the trip. I created a pile of gear to use when we got to Spring Hill for camping, and a pile of running gear, and pile of clothes to be worn once I got the deed done and we were headed home, with a brief stop in Woodstock, Vermont for celebration! Using string bags helped me to organize gear for my crew. A separate string bag for medical. 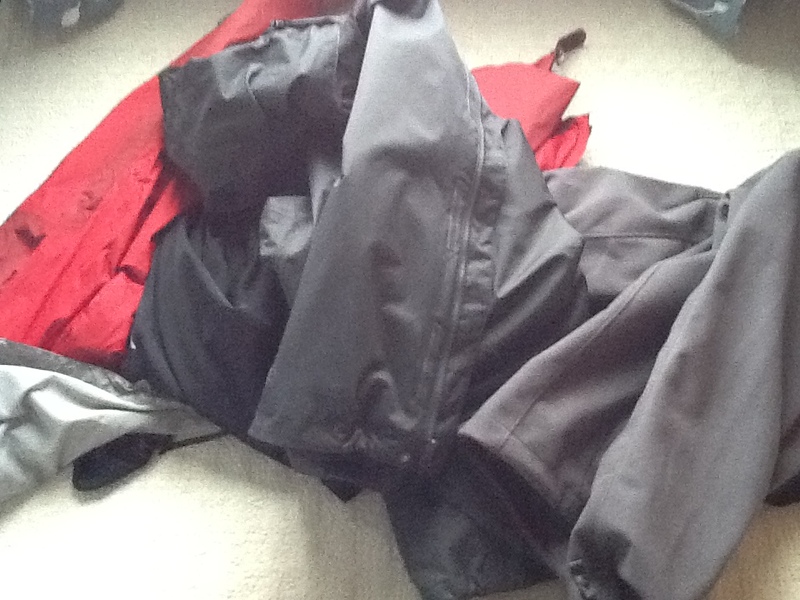 In terms of gear, the plan was to start with one pack and set of clothes, and then to change outfits every 25 miles to give me a sense of a fresh start, and to keep the pack that would be accommodate the gear that I needed at the time. Normally, I run in the Camelbak Marathoner, but I also snagged an Ultraspire Omega so I had something with some more storage. I would use the Omega if I needed rain jackets, lighting or other gear. Now, I love my Camelbak but sometimes you need more storage. I found that the race director, and I’m sure the entire staff, put together a really solid website and detailed pages and materials. While I couldn’t really preview this course, all the pre-race materials helped me and my crew be ready for this challenge. I would also tell people who are preparing for this race to scope out YouTube because there are some great videos there to help you get a sense of what this race will be like. In my original plans, the crew was just going to be my wife, Michelle, but a week out and looking at the complicated directions between aid stations, as well as thinking about the enormity of crewing for 24 hours, we decided to enlist the help of our close friend, Meg, who was able to clear her schedule and join us on this adventure. Knowing that Michelle wasn’t going to be driving around the back roads of Vermont by herself in the middle of the night, gave me a sense of ease, and would allow me to focus on the run. He’s out there. Behind a tree, around the next turn, waiting at the bottom of a deep descent. He is the Dark. Dark cramps your lungs, binds the quads, fills the lungs with wet sand. Dark scampers into the mind, sings eulogies about you mid-run, shows you dead ends. When I pulled into the Old Mil aid station, at 11hours, 30 minutes, Dark had not yet made an appearance. 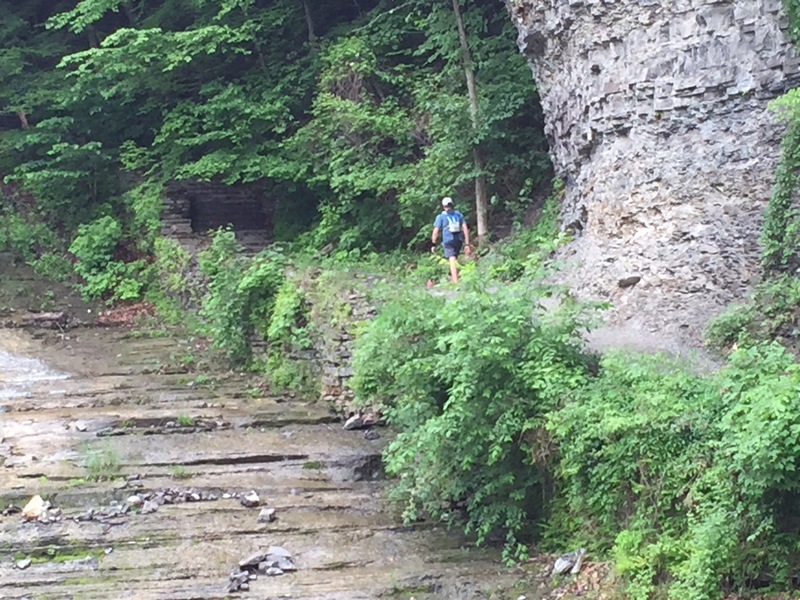 With a chance at a sub-12 hour 50 miler insight, I fist pumped my crew, took another GU, and headed into the gorge. 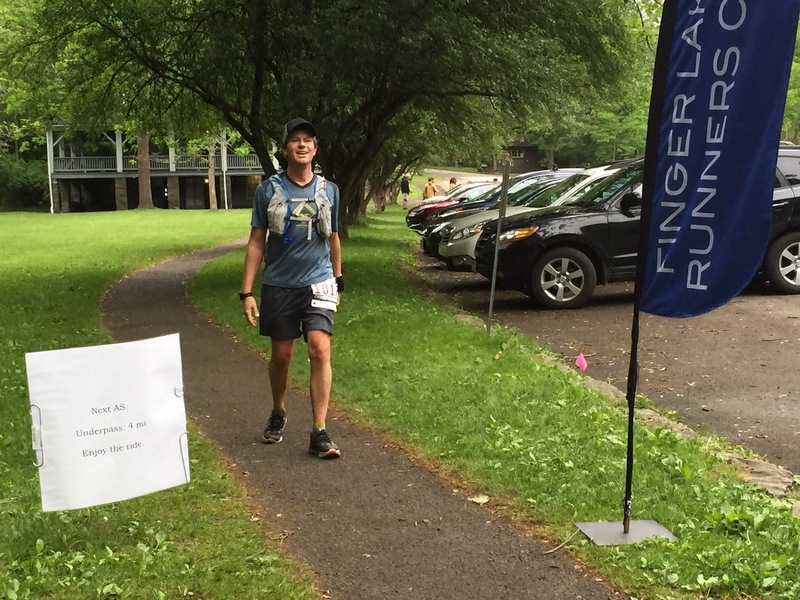 Going into this year’s Cayuga Trails 50, I had plenty of doubts. Trained enough? Tapered properly? Ready for 10,000 feet of elevation change? Could I do a 50-miler this early in the year? The plan: run the first 25 mile loop at a steady 12 minute per mile pace, stay hydrated, fuel well. Then, hold on through the second loop and make forward progress. Overall, my goal (beyond checking a finish) was to stay positive and not hit any low-down, dark places. 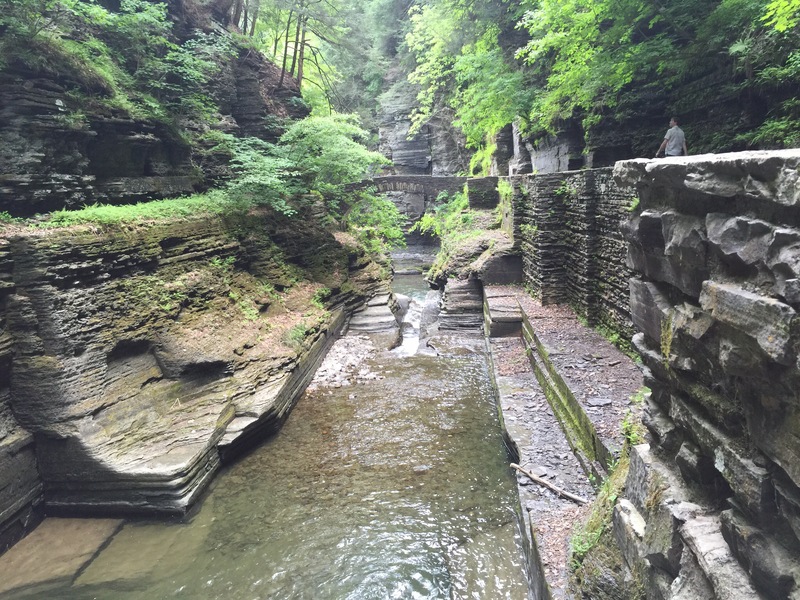 Having previewed pieces of the course earlier in the spring, I knew most of the sections through Robert Tremain and Buttermilk Falls. With this beta in hand, I was able to visualize myself through sections, and to further use the knowledge as a mental checklist as I moved through the day. So, from the starting line, I stuck to my plan. Drink on the 10 minute mark, GU every 30, salty stuff at aid stations. Electrolyte tabs every couple of hours. Everything worked, I put it into cruise mode and ticked off mileage. Chatted with nearby runners, gave encouragement, took it. Somewhere about three miles out from Buttermilk, the leaders came back through. We gave those, “Good jobs!” as we passed each other–something that is so cool about the trail running community. Miles went by with plenty of gorges to take in, waterfalls and forest. At the half-way, I refueled with hot veggie broth and potatoes, reapplied some lube, and started to count backwards from 25. Much of my mental strength on the second half came from knowing what was next. I could say to myself, “Get ready for the climbing coming,” or “Going to be muddy for a while.” The next hours went by much like a check list of chores on a Sunday. I don’t say this to connote a sense of boredom, but a feeling of getting it done. Still no Dark. I thought about how my nutrition was working, how good the cool temps and moist air felt, how cool my crew was, how 70 miles away my wife finished her first half-marathon, how good my school year was, how many cool books I was going to read this summer, how awesome the leaders looked passing me. Mid-afternoon, I started to feel those descents, especially on the rim trail coming into the Buttermilk aid station, but I downed hot broth, salami, and refilled the back. 13 left, three hours to go. In that last half-marathon, the trails were a little more muddy, that last descent on the FLT brought me to a slow, gingerly trot, last stream crossing a little more chilly, the climb long the Tremain rim trail hard. Then, I pulled into the last aid station. Was Dark lurking? I still felt good. But, I was gassed physically. 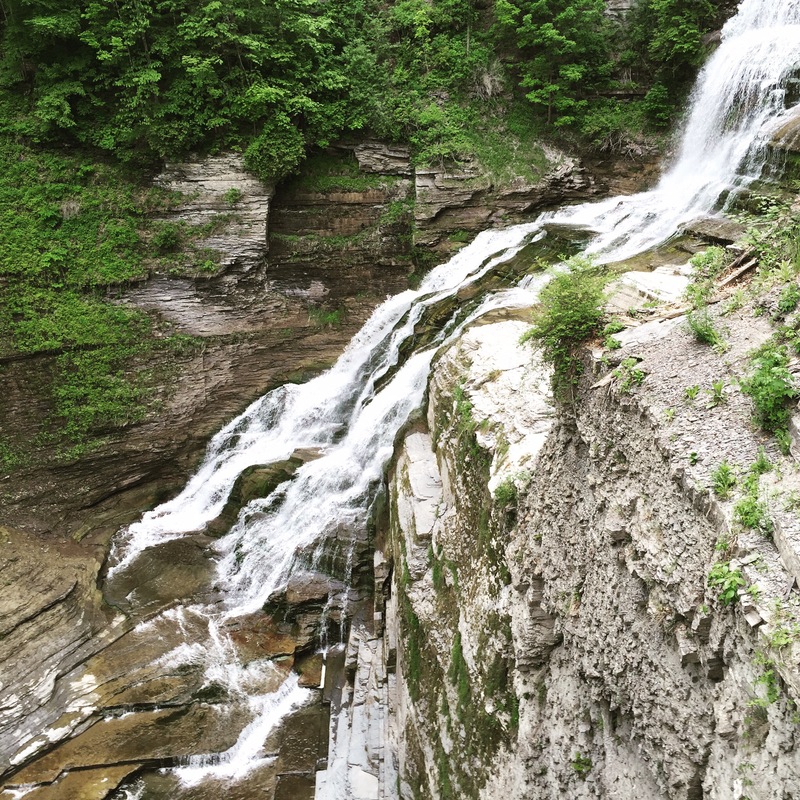 I went slow, because I didn’t want to trip and fall now–plummet to my death at Lucifer Falls. Aptly named. I wanted to finish. Dark was there, and while I couldn’t see him, I knew that if I kept my cool and just plugged away, I’d get there. A 12:20ish finish, and for me a great race: adventure, an all-day run, community, and some of the best scenery you could ask for. I kept Dark at bay this day, staying positive and focused and never feeling low.